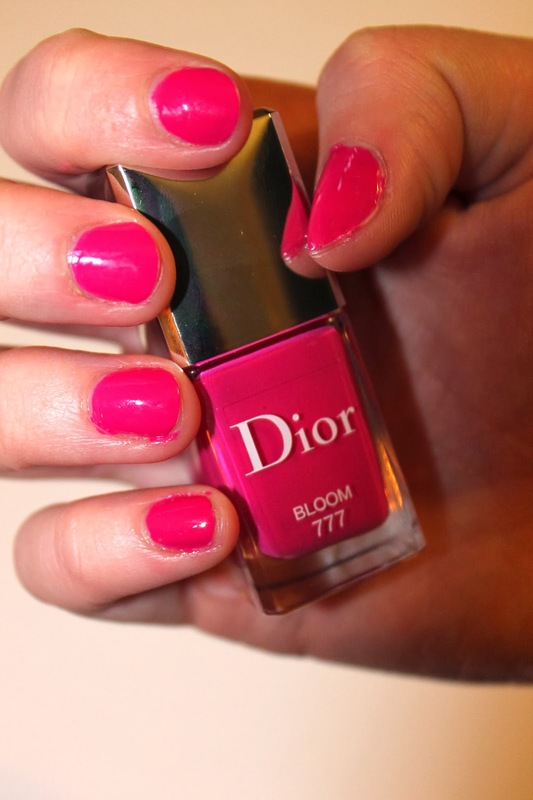 Dior Trianon Spring 2014 ! If you haven’t been to a makeup counter this year then you are missing out! 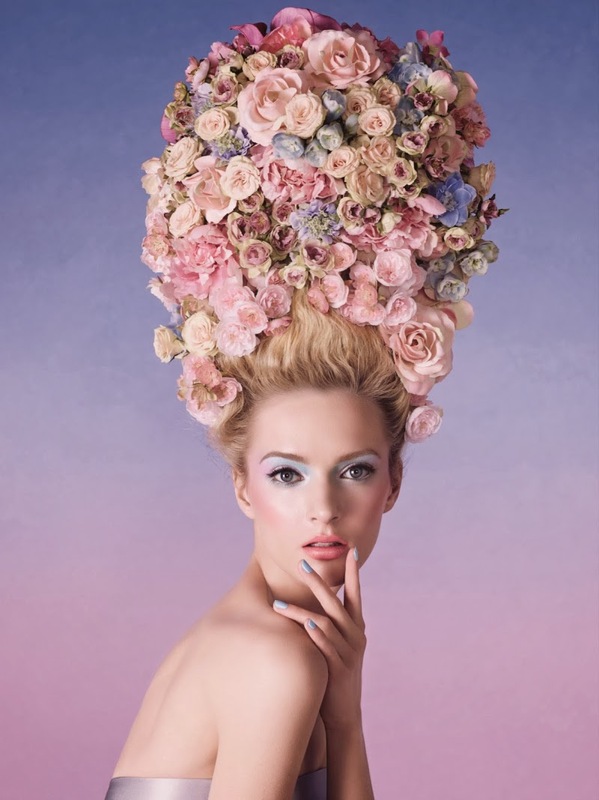 Almost all of the spring collections have been released and they are all so beautiful!! 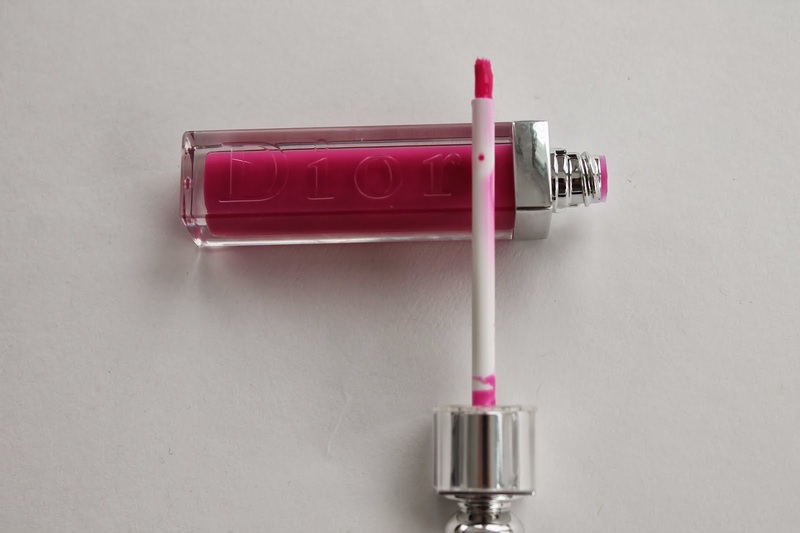 Dior released six new polishes, two new glosses and a slew of other gorgeous pieces. 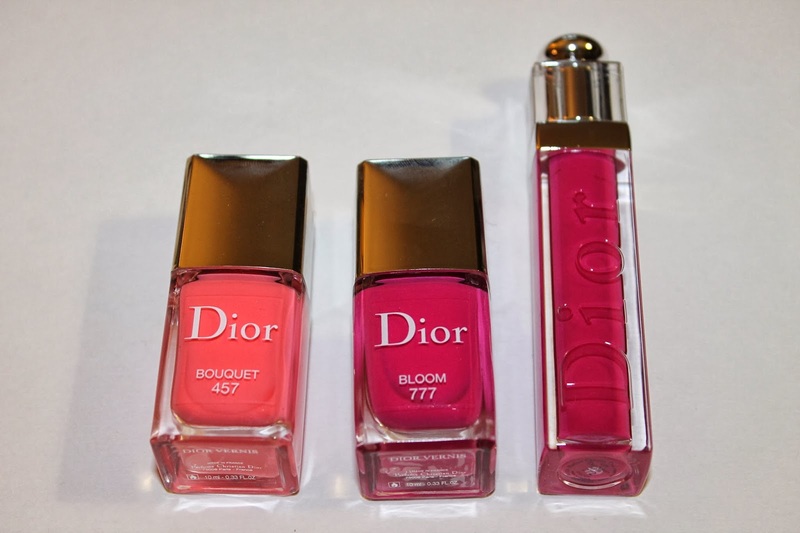 I was lucky enough to pick up two of the nail polishes and a lip gloss. I may go back and get the blush because it looks so amazing. 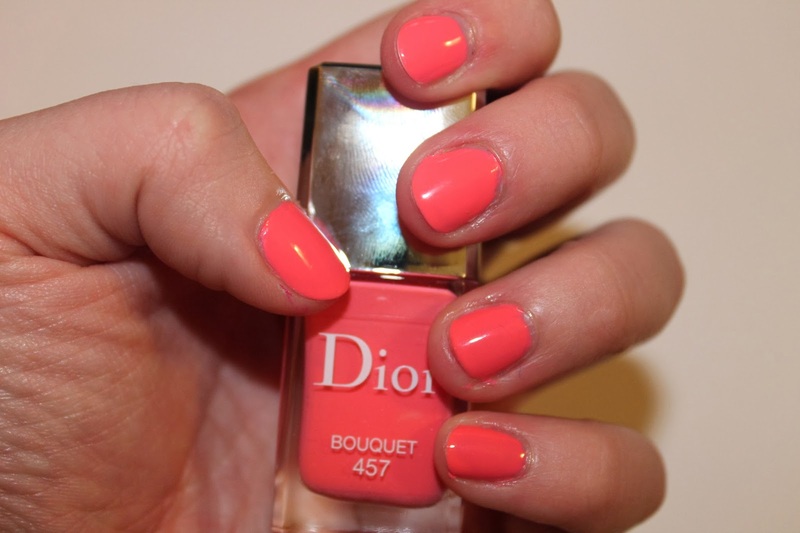 Bouquet is a pretty pastel coral with a white base. It goes on a bit streaky at first but, once you build up two or three coats it turns opaque. I did use three coats, which in my book is a little much. It is a beautiful color and would look great with a tan. Bloom was very easy to work with. I only needed two coats for it to be opaque and it was not streaky. This color would look amazing on any skin color. 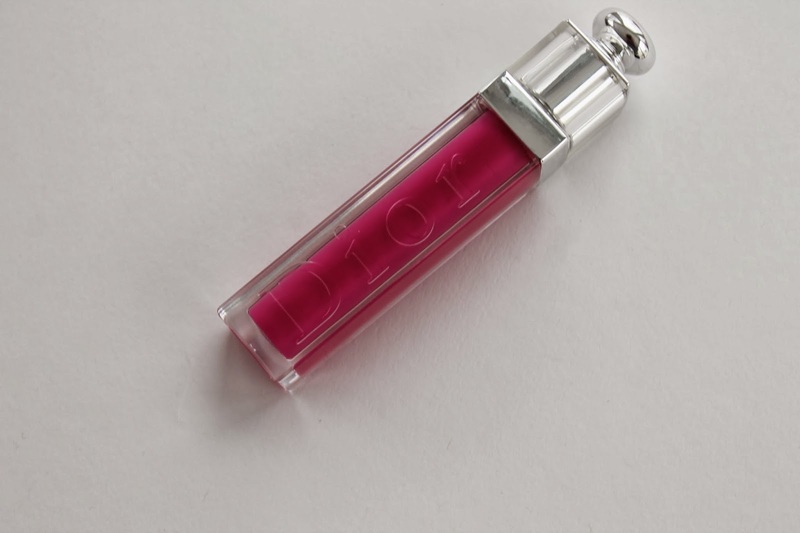 I love Dior Addict Glosses and knew I had to get this one in Exquise 772. 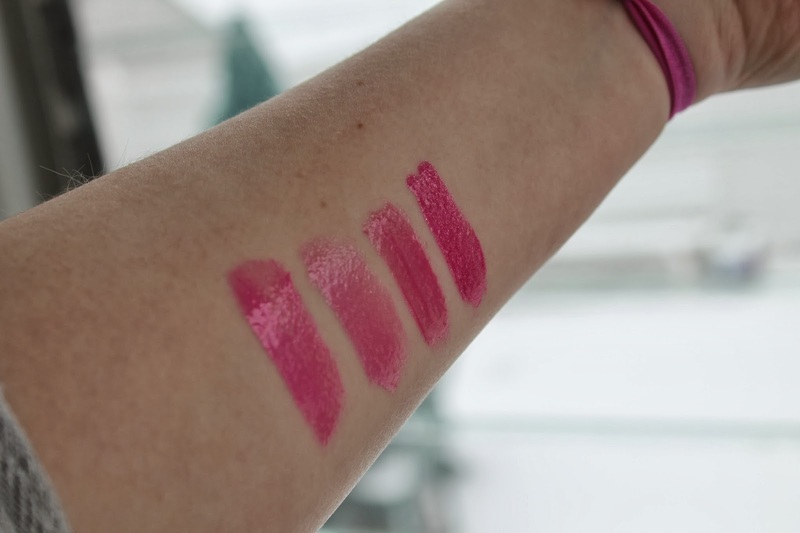 I love a nice sheer pink gloss. I opted for this one over the coral one since I picked up the glosses from the Chanel collection. 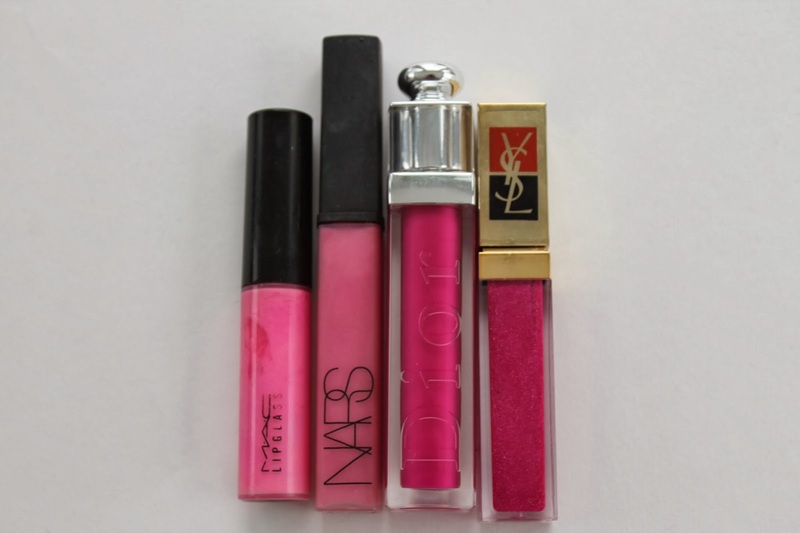 These glosses are not sticky and come with a brush applicator rather then a doe foot applicator. You can find the collection at Nordstrom‘s, Bloomingdale’s, Neiman’s, and Macy’s. What would you pick up from this collection ?? Previous Post Weekend Buys ! Next Post Favorite Jewelry !